Beautiful 2/2 TURN KEY condo - 2013 MAJOR remodel! Kitchen: granite countertops and rock backsplash, all new cabinets including a built-in wine rack, LED lighting, new Whirlpool appliances-French door fridge/freezer, dishwasher, glass stove top, oven, microwave/hood. Bathroom remodel: granite countertops and backsplash. Flooring: easy care epoxy stone flooring in entry and kitchen/dining area, both bathroom and main stairway. Carpeting throughout rest of condo. Redwood deck: 14x17 (largest size approved by HOA). New interior paint throughout. All appliances and furnishings included-decorations negotiable. Major upgrades totaling $83,500. 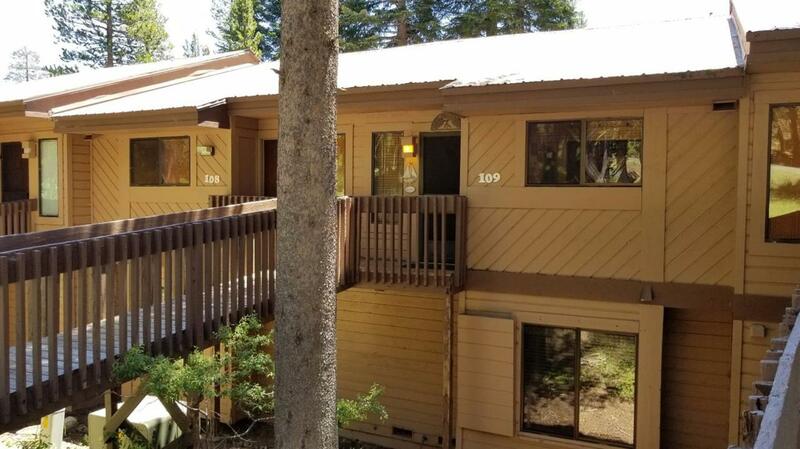 Listing provided courtesy of Marcia Beach of Coldwell Banker-Shaver Lake.